The opening ceremony of the 6th edition of the Annual Garuda Shakti exercises between the Special Forces of the Indian Army and the Indonesian Army was held at Bandung today morning. The joint exercises which commenced today, would be held till 04 March 2018. H.E. Ambassador Pradeep Kumar Rawat, Ambassador of India to Indonesia, attended the opening ceremony and along with Major General TNI Surawahadi, DANPUSENINF, and Brigadier Joko Putranto, Chief of Staff, Division 1 Konstrad, inspected the guard of honour and addressed the participants from both the armies. The 6th Edition of this Joint Exercise will include experience sharing in counter-terrorism operations, close quarter combat, and other areas of special operations. 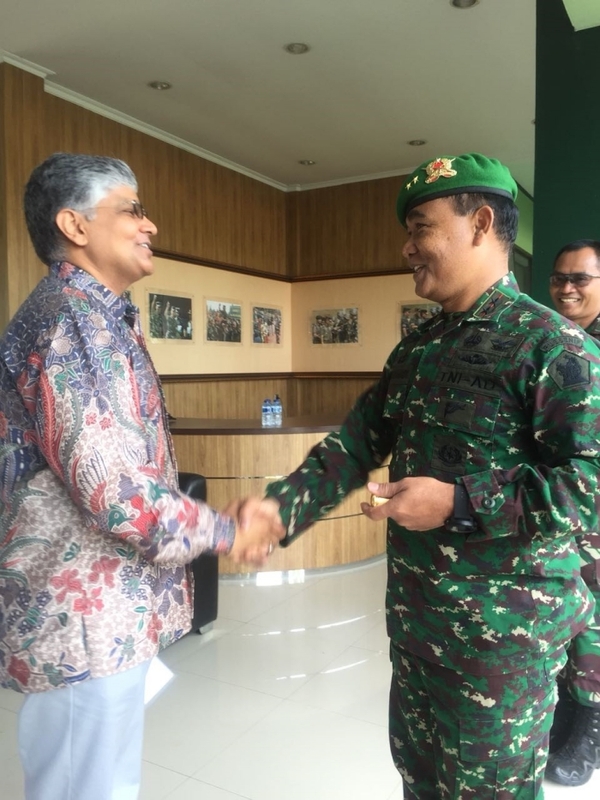 This joint exercise between Indian and Indonesian Special Forces highlights the increasing trust and cooperation between the two Armies. Earlier last month, Defence Minister of Indonesia General (Retd.) Ryamizard Ryacudu had visited India from 16-19 January 2018 and both sides convened the Biennial Defence Ministers Dialogue in New Delhi, where there was renewed commitment to deepen defence and security exchanges with Indonesia, which is India’s closest maritime neighbor. H.E. 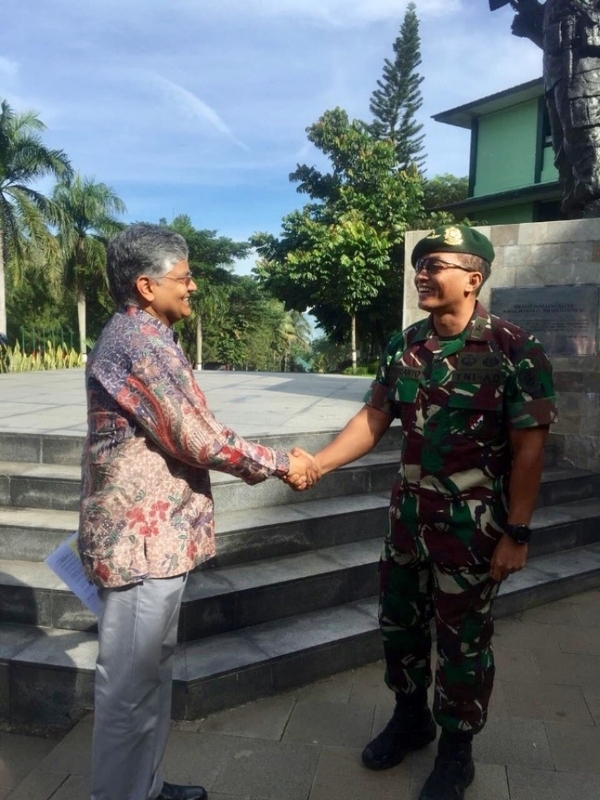 Mr. Pradeep Kumar Rawat, Ambassador of India to Indonesia, attended the opening ceremony of 6th Garuda-Shakti Joint Exercise in Bandung along with Major General TNI Surawahadi, DANPUSENINF, and Brigadier Joko Putranto, Chief of Staff, Division 1 Konstrad.